Someone you care about has their 40th birthday coming up and you want to pick a fun and light-hearted gift for that special someone. With many options it can be hard deciding what to get. 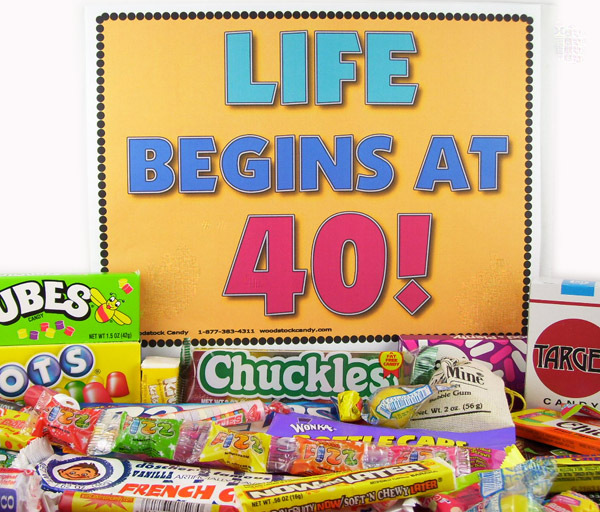 Making it to 40 is a big deal. For some getting to 40 may not be fun, but receiving 40 year old birthday gag gifts can be. 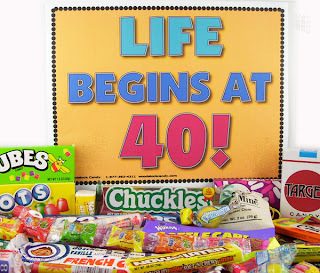 When researching 40 year old birthday gag gifts, you will find many different offerings throughout different websites. On some, you can find the do it yourself type of things that offer a personal touch. On others you may find individual gifts or packages. Each one will have different price points and will depend on how much you can put into it. One really fun gag gift is a candy gift package. This gift box will normally contain different candies familiar with the celebrant’s era of childhood. Most of these are a variety pack, meaning there will be five or more different varieties. On many of them, you can even pick a specific year for it to reflect. Receiving a gift such as this is sure to take them back to the good days and be a delicious way to begin the next year of their life. Another popular gag gift is things that focus on being "over the hill". When shopping around you will see shirts, cards, mugs, signs, hats and other items that all boast about reaching that milestone. Besides the over the hill ones they also have items specific to turning a certain age. While teasing, it can be quite humorous to be gifted with these items. There is also the option of going the personal route. For example say they have always said when they get to forty they wanted to have a convertible. You could pick out a toy convertible in the color they like; that is sure to give them a few laughs. Other types of ideas are making something for them like a pillbox with candy pieces titled "anti-aging pills" or a birthday certificate. Finding something that has meaning to them - while it may be silly, it can be the perfect gift to make their birthday memorable. No matter which present is chosen, a gag gift is always an amusing way to show someone you care and are thinking of them on their birthday. There is only one 40th birthday, so making it special for the person of honor matters. Adding in a gift like this whether homemade or store bought, a spread of candy or an over the hill pajama set, is what will make it memorable.